Scripture tells a story. Not a fable and not a novel, but a living story about real men and real women like you and me. It’s a story that began long before we were born, and it’s one that will continue long after we are gone. But it’s one that invites us to enter in, to find our spot and, ultimately, to be changed, transformed, and made whole again. But our spot in that story may not always be clear at first glance. Even today, for example, a centurion comes to Jesus asking for a gift: “Lord, my servant can’t move, and it’s literally killing him!” And in his cry is wrapped up his request. What he’s asking for is a miracle. And, of course, the humility of this centurion is worth noting. “I know what it is to be in authority,” he says, “and I know what it is to be under authority.” This centurion knows his spot. He knows his role. He knows his place. In the world, he’s in charge and he’s under charge, but in Christ, he does not give orders; no, in Christ he is nothing but given to. The one who in his day-job…commands, here is commanded. The one who instructs is instructed. The one who answers, today, he asks. And so as you read sermons on this particular Gospel, or as you hear them preached at Orthodox Churches around the world, most – most! – will end with some kind of call for us to: “Be like the centurion!” And that’s true. Jesus commends his faith, and we should long for the same. But what about that servant of his? 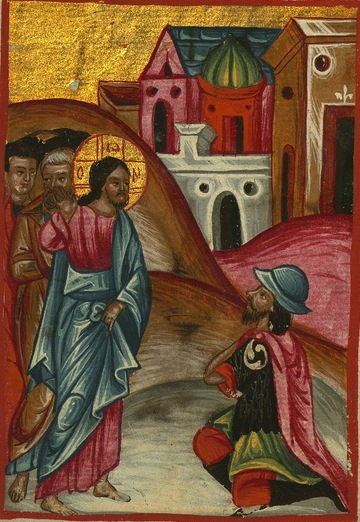 The one who was paralyzed and tormented, as the text says? What of that man? We know he’s healed, yes, but think about what led to that healing. The centurion went to Jesus, that we know. But probably long before the centurion went to Jesus, someone brought that centurion to this servant. And probably long before the centurion asked Jesus for a gift, the servant asked his master to do something – to pray – or beg – or just do some small thing – to make him better again. Think of it this way: that servant had to ask his master before his master could ask Jesus. And what that means, of course, is that this sick servant likely does not suffer from the same kind of illness from which we suffer. He was paralyzed, yes, but not by pride. He was humble enough—or desperate enough, it really doesn’t matter—to ask someone else for help. And that someone else went to the One who does all things well, the One who makes all well, the One who is Life and Health itself. And that is something we all would do well to consider. We, of course, have folks all around us right now, at this very moment, who know their spot. These saints, you see, know their spot in the great story of salvation. But too often we are too paralyzed by pride or disbelief or just plain laziness to ask for their help—to ask them…to ask the One who does all things well. But if we would only be, not like that centurion, but like that servant, we would find in these saints, these ones in authority and under authority, these holy men and women of great faith, we would find in them constant advocates before the merciful face of Christ. Make no mistakes about it: the servant is healed because of the intercession of his master. 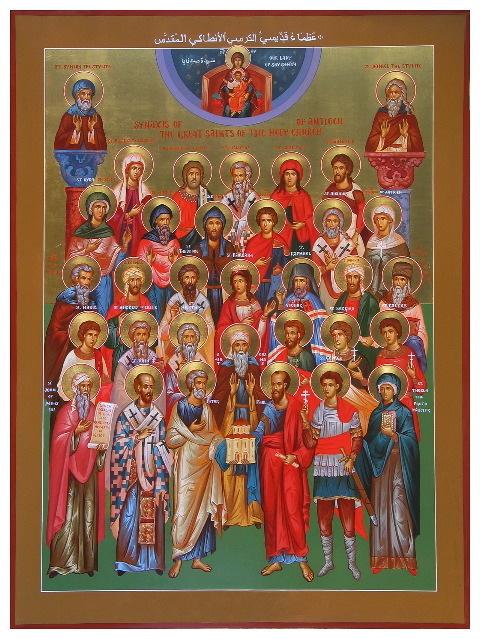 May we, too, find in these saints, these holy men and women who know their spot—especially, this day, the [Feastday of the Russian] Royal Martyrs—may we find in them gracious intercessors, trusting that, even when we are weak—in body, in mind, and in faith—that their faith before the face of Christ is enough to make us well again.